February is a month of double delight for millions of followers and disciples of Raghavendra Swamy (1591-1671), one of the iconic saints of Madhwa parampare. It was in February that Raghavendra Swamy was born. It was also in this month, today to be precise, that he was initiated into Sanyasa and given the name Raghavendra Thertha. The birthday of Raghavendra Swamy, who is more popularly known as Rayaru, falls on February 25. Today, February 20, is the day he was initiated into sanyasas by Sudhindra Thertha (1613-1621) , the pontiff of the Sri Matha of Kumbakonam, and given the nomenclature, Raghavendra Theertha, at Tanjore. 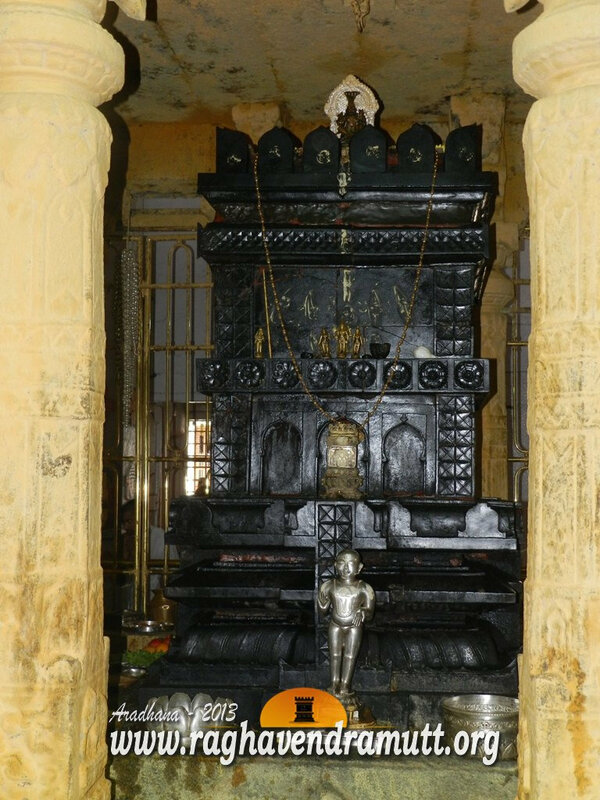 Raghavendra Swamy, whose poorvashrama name was Venkatanatha, had come to Kumbakonam, with his wife, Saraswathi, and their young son, Lakshminarayana. When Vijendra Theertha (1575-1614), the senior pontiff of the Sri Matha had seen Venkatanatha in the Sri Matha, he turned to Sudhindra Thertha, the junior Swamy, and asked him to hand over the reigns of the matha to Venkatanatha after his (Sudhindra Theertha) tenure. Vijendra Theertha told Sudhindra Theertha that Venkatanatha was Vyasa Raja or Vyasa Theertha in his previous birth. He said there could be no fitter person other than Venkatanatha to occupy the post. Venkatanatha soon became the favourite disciple of Sudhindra Theertha. It is here that he studied Dwaita Siddantha, grammar, and literary works from Sudhindra Theertha. Very soon, Venkatanatha came to be known for his mastery over Sanskrit and his erudite scholarship. In 1621, Sudhindra Theertha decided to relinquish the reigns of the matha to Venkatanatha and enter Brinavana at Nava Brindavana in Hampi. The then reigning monarch of Thanjavur, Raghunatha Nayaka (1600-1634), insisted that the initiation of Venkatanatha be held at Thanjavur itself. Initially reluctant to accept the proposal of Sudhindra Theertha to take over the matha, Venkatanatha had to change his mind when Goddess Saraswathi herself appeared in his dream and asked him to take up the post of the Peetadhipathi of the Sri matha. Even as the sanyasa ceremony was going on, news of the event reached Saraswathi, the wife of Rayaru. Unwilling to live without her husband by her side, she flung herself in a well and committed suicide. By then, Venkatanatha had been handed over the peetha of the Sri matha and he sensed that his wife had become a ghost. His first act after becoming Raghavendra Swamy was to give moksha to Saraswathi. Another momentous event that occurred after Rayaru was crowned as the head of the Sri Matha was his victorious march of Sanchara all over south India. Wherever Rayaru went, he won over people by his simplicity, humaneness and devotion to God. His travels took him to many pilgrim places including Rameswaram, Madurai, Kumbakonam, Srimushnam, Pandrapur, Vellore, Srirangappatna, Udupi and even Vellore where he defeated two well-known Shaivite pandits, Veerabhadra and Bhairava Bhatta. The Vijayanagar King was so overwhelmed by that he honored Raghavendra Swamy and gifted him several villages.